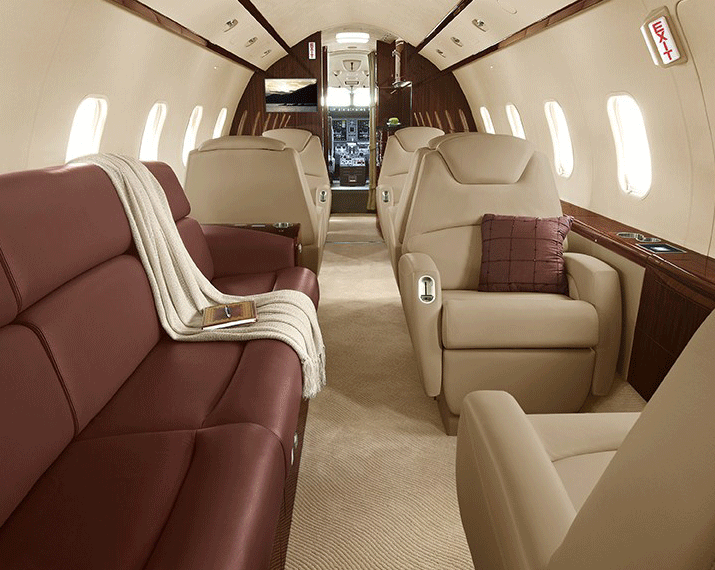 This high-performing super-midsize private jet can accommodate nine passengers flying coast-to-coast nonstop with a spacious cabin that includes fully adjustable passenger seats, fold-out tables and individual AC power plugs. 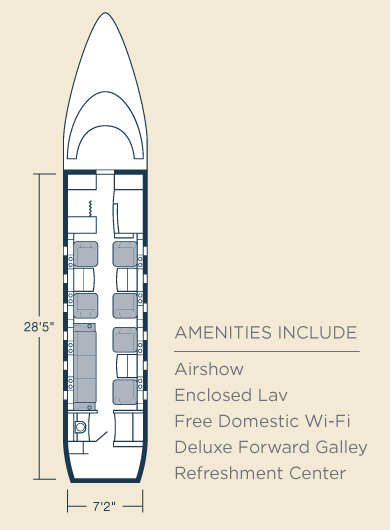 Take advantage of 106 cubic feet of baggage, which is enough for 750 pounds. 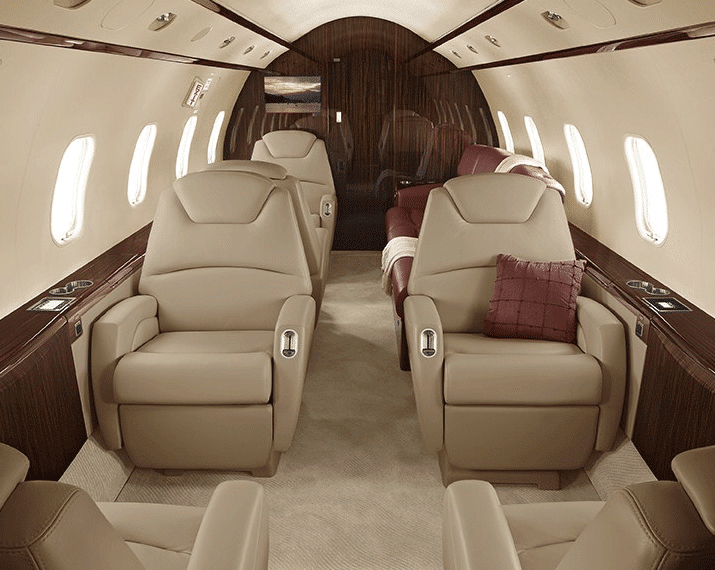 With the large interior and speed, the Challenger 300 is an excellent option for large charter groups.